When I told my mother that I was going to Taiwan, she asked me: "Where is Taiwan?" I was surprised by her question, but on second thought I should have expected it. Many people in the West don't know much about Taiwan, some of them even think that Taiwan is Thailand. So I think that if I write a blog about my life in Taiwan I should at least give you some background information about this place. First of all, a state called Taiwan doesn't exist. In fact, the official name of Taiwan is Republic of China. Taiwan is just a geographical term that defines the island of Taiwan. That the official name of a country is not the same as its colloquial name, is nothing unusual. We know that Germany's official name is "Federal Republic of Germany", but we never say: Hey, I'm going to fly to the Federal Republic of Germany tomorrow. We just call it Germany. The same with the United States of America. We usually say US, America, or the States. What is unusual about Taiwan, though, is that its geographical name and its official name have no relation with each other. As a matter of fact, you might wonder why the name of this tiny island includes the word China. That's why a lot of people tend to confuse the Republic of China (R.O.C.) with the People's Republic of China (P.R.C. ), which is a mistake. Let me explain the difference. The Republic of China (Traditional Chinese: 中華民國, pinyin: Zhōnghuá Mínguó) was founded in Mainland China in 1911 after a revolution had overthrown the Qing Dynasty and the old imperial institutions that had ruled China for hundreds of years. The 1 January 1912 was set as the first day of the First Year of the Republic. The R.O.C comprised a vast territory, which you can see on the map below. At that time, the territory claimed by the R.O.C. included the whole of Mongolia and other regions which now belong to India, Burma and other countries. It was therefore bigger than what we know as China today. Due to the political instability of the country, however, the effectual control through the central government did not extend to all peripheral areas. Tibet, for instance, was de facto independent (though the R.O.C. didn't cede its sovereignty claims). Interestingly enough, the island of Taiwan did not belong to China, but to Japan. The Japanese Empire had annexed Taiwan in the aftermath of the Sino-Japanese War of 1894-95, and it maintained control over the island until the end of the Second World War. The first president of the Republic of China was Sun Yat-Sen (Trad. Chinese: 孫逸仙, pinyin: Sūn Yìxiān), commonly considered the "father of modern China" (國父). Sun Yat-Sen was a revolutionary who had fought for decades to oust the imperial government and establish a new, modern Chinese government, for which he had created the theoretical foundations (i.e. "The Three Principles of the People"). As the instrument of his political activity and the organization that was to govern the New China he created the Kuomintang (Trad. Chinese: 國民黨, pinyin: Guómíndǎng), from the words 國 (country), 民 (people) and 黨 (Party). Sun Yat-Sen's successor was Chiang Kai-Shek (Trad. Chinese: 蔣介石, pinyin: Jiǎng Jièshí). Chiang Kai-Shek was the leader of the Kuomintang and the Republic of China from 1928 until his death in 1975. The Republic of China had to face huge challenges. The end of the Qing Dynasty inaugurated a period of chaos, in which various local warlords took control of different provinces, often fighting against each other. Furthermore, China was a poor, weak country, for decades a semi-colony of Western Powers and increasingly threatened by a more and more aggressive Japan. On top of that, the Chinese Communist Party, founded in 1920, was planning another revolution, this time to overthrow the new government held by the Kuomintang. The Communists were backed by the Soviets. For many years, Chiang Kai-Shek, despite being the great and undisputed leader of China, ruled a country marred by continuous conflicts. He fought a long-lasting civil war against the Communists, whose ideology he described as a "cancer", but he also had to wage war against the Japanese, who first conquered Manchuria and then occupied vast parts of China during World War II. In 1945, with Europe and Japan lying in ruins, old-style imperialism was over, and China was, for the first time after a century and a half, free. Chiang Kai-Shek had fought at the side of the Allies, and so he was, together with Truman, Churchill and Stalin, one of the winners of the war. The territorial integrity of China was restored. Tibet was recognized as a part of China, and Taiwan was handed over to the mainland after 50 years of Japanese colonial rule. The Republic of China was considered a big world power, and so it seemed that Chiang Kai-Shek was going to lead China through the following decades and complete Sun Yat-Sen's vision. But that's not what happened. The Kuomintang government had always been weakened by widespread corruption, which Chiang Kai-Shek had tolerated. If you read the novel Wild Swans: Three Daughters of China by Jung Chang, you'll find a very good description of the last years of the Kuomintang era. The record of Chiang Kai-Shek's government was mixed. Of course, he had united China and he had led it to its victory in World War II. He had partly modernized China and had made it independent from foreign powers. But he had been unable to address some of the key issues the huge country faced. China was still a poor, rural, unequal society, where a few - especially party officials - enjoyed wealth and power. The masses of destitute lived in poverty, the struggle for sheer survival was bitter, and the situation was made even harder by the corruption of the political elite. The USA pursued at that time a peculiar policy of non-intervention. They saw Chiang Kai-Shek as an Ally, but they refused to back him openly and give him the financial and military aid he requested. Mao Zedong's Communists, on the contrary, received help from the Soviets. Moreover, they appeared like a new, fresh force that was close to the masses and fought for the masses. Peasants, proletarians and many intellectuals were enticed by the promises of the Communists and supported them, for they looked back on the Kuomintang years with bitterness and wished something better. Besides, the war against the Japanese had weakened Chiang's armed forces more than Mao's. Mao Zedong proclaims the People's Republic of China. After 1945, the civil war between the Kuomintang and the Communists resumed, and this time, Mao's highly motivated troops, which grew in numbers and strength through the support of the dissatisfied and poor, won battle after battle, and Chiang was forced to retreat. Until finally, Chiang Kai-Shek had to make the most difficult decision of his life: he had no choice but to give up the mainland and withdraw the government of the Republic of China to the island of Taiwan. It was a real exodus. Party officials and members of the Kuomintang, Chiang Kai-Shek's army (The National Liberation Army), as well as many anti-Communist intellectuals, business people and professionals left their homes to re-settle on the small, newly acquired province of Taiwan, which became the last stronghold of the Kuomintang rule. In October 1949, Mao Zedong proclaimed the People's Republic of China (中华人民共和国: Zhōnghuá Rénmín Gònghéguó). Chiang Kai-Shek, in his Taiwanese exile, could only watch how his biggest enemy celebrated his triumph. He, Chiang, the successor of Sun Yat-Sen, he who had been the most powerful and influential Chinese for two decades, had to endure defeat and humiliation. The civil war wasn't officially terminated, though. Both Chiang Kai-Shek and Mao Zedong threatened each other for years. The main goal of Chiang remained until his last days to reconquer the mainland. Obsessed with the nightmare that Communist groups might undermine his government in Taiwan, Chiang inaugurated an era of military rule and "white terror" on the island. However, in his attempt to create a "better China", a stronger China capable of retaking the mainland, he and his son Chiang Chingkuo began a series of reforms that were more successful than anything else they'd ever tried on the mainland. Under the (authoritarian) Kuomintang leadership, the Republic of China started a successful process of industrialization which laid the foundation for the Taiwanese "economic miracle". In the late 1980's and early 1990's, the ROC underwent a deep political change. In 1987 Chiang Kai-Shek's son and successor, Chiang Chingkuo, lifted martial law (in force since 1949) and with the death of its last dictator, the R.O.C. became a multi-party democracy. The Republic of China was and still is an extremely contradictory place. The Constitution of the R.O.C doesn't mention the name Taiwan. It merely calls the territory governed by the R.O.C. "the free territory of the Republic of China". The relation between the People's Republic of China and the R.O.C. is still tense. The P.R.C. claims sovereignty over the whole of China (Mainland China plus Taiwan). But so does the R.O.C. the Diaoyu Islands are claimed by both the R.O.C. The PRC and the R.O.C. both claim to be the sole and legitimate state that represents the whole of China. During the recent Diaoyu/Senkaku island dispute, for instance, both the P.R.C. and the R.O.C. claimed sovereignty over the islands against Japan's claims (see the picture I took in an underground station in Taipei). The Cold War has created a deep identity issue within Taiwanese society. Is Taiwan part of China? Are Taiwanese Chinese? I think Taiwanese themselves don't know the answer. Taiwanese still count the years from the foundation of the Republic on the mainland. The year 2012 is therefore the "Year 101 of the Republic". However, most Taiwanese will tell you that Taiwan is not China. October 10 was the R.O.C. 's National Day, a day that commemorates the start of the Wuchang Uprising that led to the foundation of the Republic. Many people told me: this is Taiwan's birthday. But actually, this is the R.O.C. 's birthday. In everyday life, people see R.O.C and Taiwan as somehow synonymous. But they are not. In fact, the DPP (Democratic Progressive Party) favoures Taiwanese independence under a new name (i.e. Republic of Taiwan), while conservative parties stick to the idea that China is one country and Taiwan is part of it, but the present government of the P.R.C. does not represent the whole of China. So, you may find Taiwanese who say they are Taiwanese, but at the same time claim that Taiwan has the only, true Chinese culture. By that, they mean that old Chinese culture survives in Taiwan, but was destroyed in Mainland China due to Communism and especially the Cultural Revolution (well, I don't think so, I've hardly met any Taiwanese who has deep knowledge of or interest in Chinese history, literature or philosophy; they think much more about jobs, relationships or high-tech stuff). So they claim not to be China, but at the same time they believe to be more "truly" Chinese than China. Which is a confusing thing. Many Taiwanese look down on mainland China and mainlanders (an attitude that is often based on prejudice and political bias, rather than on personal experience). For example, one day I was talking with a Taiwanese teacher who kept on saying how bad China is, how ignorant people are because they're brainwashed by the government. I told her I know many mainlanders who are not brainwashed by the government. She replied that Taiwan is a democracy and mainland China isn't. The interesting thing, though, is that she is an admirer of Chiang Kai-Shek because, as she told me, people don't care about politics; they only care about having enough food to eat, a job and a flat, which is an attitude surprisingly similar to that of some mainland Chinese when they argue in favour of the policy of the Communist party in the last three decades. Anyway, guys, I've talked too much about politics and it's time to move on to other things. if you've read this post until the end, thank you so much! I think, if you write about history, it would be good to quote and link to the sources of the photos and information you took, I assume Wikipedia in this case. Not to sound condescending, but it's obvious in your text, that you are new to Taiwan and that you have still a lot to learn about the history. But I have to say I was just like you 3 years ago. Keep an open mind, read more local sources, if you are able and after a while you'll get to understand how things really run in Taiwan :) No Wikipedia will tell you that. Hi, nice to see you here. I apologize, my page is not complete yet. I started it yesterday and it will be a work in progress for a few more days. Later you'll find the sources I used. To reply to your post. First of all, I have a rule that I would like you to follow, if you don't mind. Instead of using general sentences such as "it's obvious in your text, that you are new to Taiwan and that you have still a lot to learn about the history", you should make some points. Constructive criticism is always about arguments. I don't mind you giving me some advice, but the way you do it isn't helpful. Hi Aris. Let's clear something here. I commented the way I did here, because I was upset over your attitude on my blog, which I felt as arrogant. First of all, I don't know you and I'm not the type of person to argue online. But the same thing you demand here, namely constructive criticism, I also demand on my blog, however in your initial comments I only felt you were nitpicking on the very fact, that I have written those posts, you started to comment on a personal level, not me. You may disagree with this, and perhaps you have honestly believed, that what you wrote was legitimate criticism, but for me it wasn't. Sometimes written words online sound different than what the author meant to say. So in case it was a misunderstanding, I apologize. I don't seek arguments and I wish you best of luck in your blogging efforts. I still believe, that we are vastly different in the way we perceive some things in Taiwan and that we seem to be communicating on different levels, which makes it very hard for me to engage in debates with you. First of all, a state called Taiwan doesn't exist. In fact, the official name of Taiwan is Republic of China. Taiwan is just a geographical term that defines the island of Taiwan. Well, I wouldn't go that far to say a state called Taiwan doesn't exist. Certainly the government likes to use the name Taiwan a lot internationally, even on the front cover of the passport you can find it. 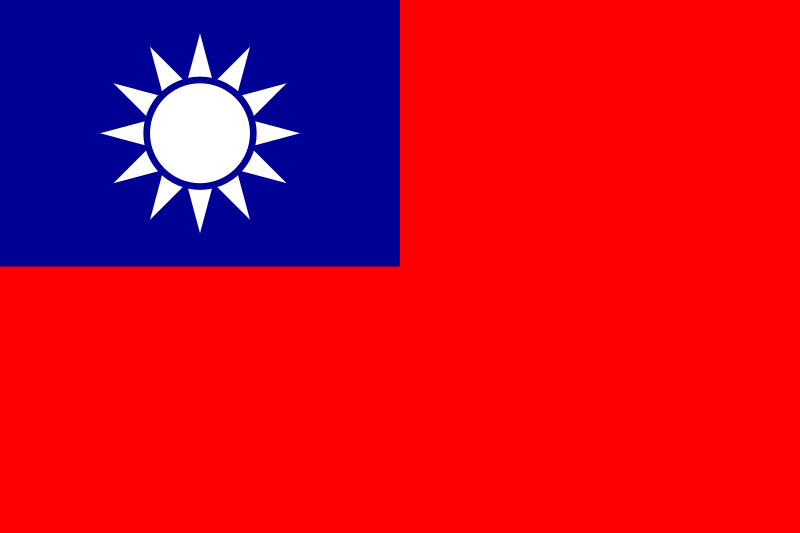 A lot of time it's used alongside ROC, namely this way: Taiwan (Republic of China). Perhaps you might find my post on Double Ten Day interesting, I went a bit into this issue, check also the comments. And I also recommend you Reflections on National Day by J. Michael Cole. As for your depiction of Chiang Kai-shek and the interpretation of historic events, I completely disagree with you. You have also omitted the 228 incident, White Terror, 3 Strait Crises, the Cold War and China's missiles pointed at Taiwan. It might explain the attitude of some Taiwanese towards mainlanders like the teacher you mention. Things are far more complex than what a reader might understand from your article here. "I commented the way I did here, because I was upset over your attitude on my blog, which I felt as arrogant." I did not intend to be arrogant. I simply said my opinion, which differs from yours. If you read again your first reply to my post you will see that it is only a personal attack, and I thought it was inappropriate. If you set rules, you should be the first to follow them. Anyway, I think that we had a bad start, but I really want to put aside this first dispute. I don't like online arguments either, so let's just forget about that, what do you think? As to your criticism of my blog post. I read your post about the Double Ten Day. The point of my blog post was to highlight the contradictions in Taiwan's history, which are still unsolved. The purpose of your post, it seems to me, was to find a justification for the identification of Taiwanese with the state called Republic of China. Besides, in my post I only said that the official name of Taiwan is Republic of China. In fact, in the R.O.C. constitution Taiwan is called the free territory of the Republic of China (中華民國自由地區.See:http://www.president.gov.tw/Default.aspx?tabid=65). Although they also use the name Taiwan, the official name of the state still remains Republic of China. As to Chiang Kai-Shek and the KMT rule on Taiwan, you're right, I have omitted a lot of facts. That's because I only wanted to give a brief overview of the history of Taiwan. I might reconsider and expand it in the future, though.